Private tour of Prado Museum with art historian guide and skip-the-line tickets included in the price. There is an additional option which includes a guided visit to Retiro park. During the museum tour you will get intimately acquainted with Prado museum, an authentic gem and "a must see" regardless of how much you are into art. Whether you are a seasoned art enthusiast or just want to see a collection that has been ranked above the one in Louver by TripAdvisor, this tour will adapt to your interests and level of knowledge. Our guide will make sure that you find here what you are looking for, be it illustrations to historical events and Spanish traditions, a quick run through some of the most outstanding pieces of art in the world or a thematic experience focused on a specific epoch or an artist. Make this your most enriching and personalized experience of Spain and try to take with you "the air from Las Meninas", following the advice of Salvador Dali. A journey through the eyes of the Spanish painters from different periods of time, styles and historical events. From the perfect anatomical drawings of Ribera to the tetric looks of the black paintings of Francisco de Goya, and, of course, passing through one of the least known areas of the museum, the nineteenth century Spanish painting, from "El Casacón" to the great "History painting"
Let us immerse in the wonders of Spanish art! The tour starts at your hotel lobby, and from there, the guide will craft the story which will open the door to this renowned museum. The collection is vast and it takes a long time and several visits to take it inside and comprehend. That is why we encourage you to share your interests while booking the tour. 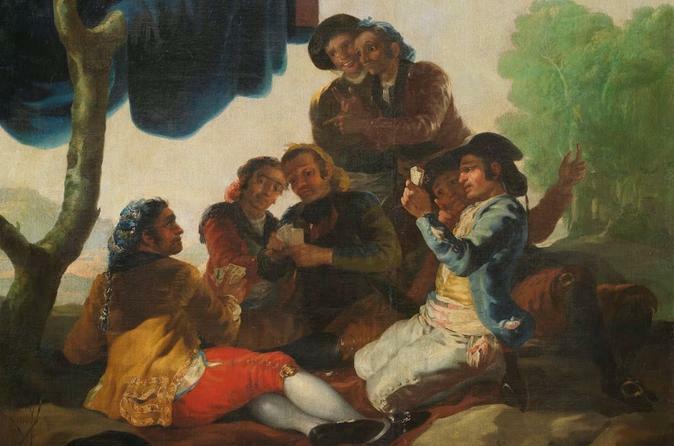 Do tell us, what is that makes you want to visit the Prado museum. We are open to any request and are able to customize the tour to your preferences. If you select the option with the guided visit to the Retiro Park, which is right behind the museum, your tour will continue to the park, where your private guide will share the curious insights and facts of the "Central Park" of Madrid, which are more then one could imagine. The park covers vast area and encompases different atmospheres and monuments, giving additional grounds to reflect on the history and culture of Madrid and Spain. The tour will end at the museum or in the park, depending on the option you have chosen.